Gross Regional Mining product was valued at $363M in 2017-18, which shows slight improvement compared with $356M in 2016-17. Further, recent developments in the region (such as recommencement of iron ore mining on Koolan Island) indicate a potential increase in mining output for the region and consequently the State for 2019. Figures released by the Australian Bureau of Statistics (ABS) in March 2019 indicated that the trend estimate for total mineral exploration expenditure increased 0.4% ($2.2m) to $554.4m in the December quarter 2018 and that the largest contributor to the increase in the trend estimate in the December 2018 quarter was Western Australia (up 0.6%, $1.9m). The Kimberley region has a long history of mining activity, commencing with the discovery of gold in Halls Creek in 1885 which led to a brief gold rush, opened up the east Kimberley, the port of Wyndham and the establishment of a number of cattle stations.The construction of the first iron ore mine in WA began in 1944 on Cockatoo Island, with the first shipments of iron ore made in 1951. In the 1980s diamond and zinc/lead deposits were discovered and mines were commissioned at Argyle (diamonds) and Cadjebut (zinc/lead). Further exploration for a variety of resources, including gold near Halls Creek, continues. Western Australia’s resources industry grew significantly over the past decade due to unprecedented overseas demand, which resulted in a mineral production and revenue increase from $27.9 billion in 2002-03 to $105 billion in 2016-17. In 2017-18, diamonds, gems and semi-precious stones accounted for nearly 69% of all mineral production in the Kimberley, as shown in the chart below. The value of minerals produced in the Kimberley has been fairly volatile as production is mostly driven by world demand. Production in 2017/18 showed similar patterns to 2016/17, whereby the Shire of Wyndham East Kimberley produced the greatest value of minerals ($252 million) in 2017/18, followed by the Shire of Halls Creek ($86 million), the Shire of Broome ($4.7 million) and the Shire of Derby West Kimberley ($23 million). Iron Ore has been a valuable mining commodity with ore bodies on the Kimberley islands in the Buccaneer Archipelago of a very high grade. 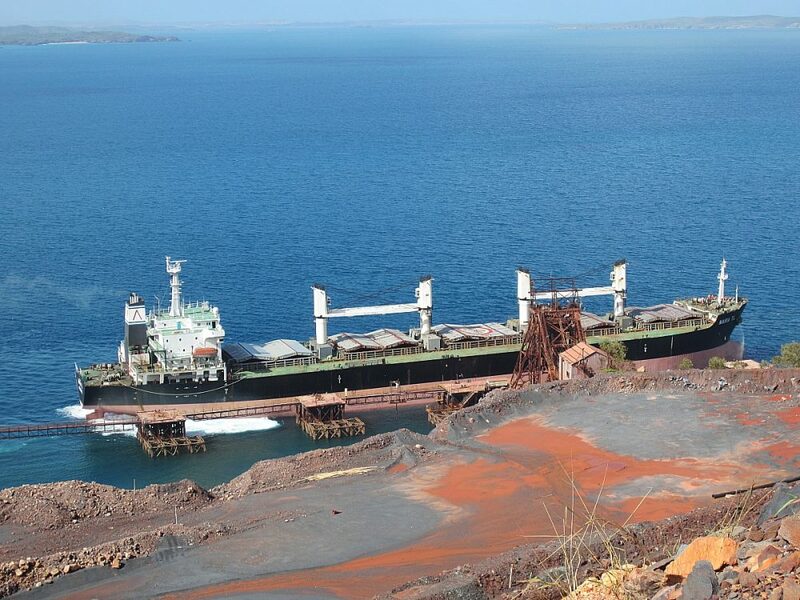 The operation on Koolan Island is currently being resurrected with improved iron ore prices. The return of around 80 and 315 jobs during reconstructions and operation respectively may also underpin the return of a regular air service between Derby and Perth. Pluton Resources Cockatoo Island ceased production in 2015 (due to insolvency) and ore pit filled with seawater in October 2016 after the power supply for the de-watering pumps was discontinued. While the Kimberley is famous for producing rare pink and yellow diamonds, the outlook is for gradual reduction in the industry and production with the Argyle Mine in transition to shut down mode in 2020. The Kimberley is famous for its production of diamonds and accounts for all of Western Australia’s diamond output. The Argyle Diamond mine south of Kununurra is owned and operated by Rio Tinto and is the world’s largest supplier (by volume) and the only known source of pink diamonds. The region is also a significant producer of natural coloured diamonds including champagne, cognac, and rare blue diamonds. The mine has been operating since 1983 and has produced more than 800 million carats of rough diamonds. It is one of the world’s largest supplier of diamonds and the world’s largest supplier of natural coloured diamonds. The Ellendale Mine (East of Broome), which used to produce circa 50% of the world’s yellow diamonds, closed in mid 2015. However, recent exploratory drilling further to the East has identified new prospects and is considered a significant discovery by a global miner. Mineral sands include Titanium dioxide and Zircon products used in the manufacture of paints and plastics, ceramics, sunscreen, toothpaste, artificial joints and welding rods. 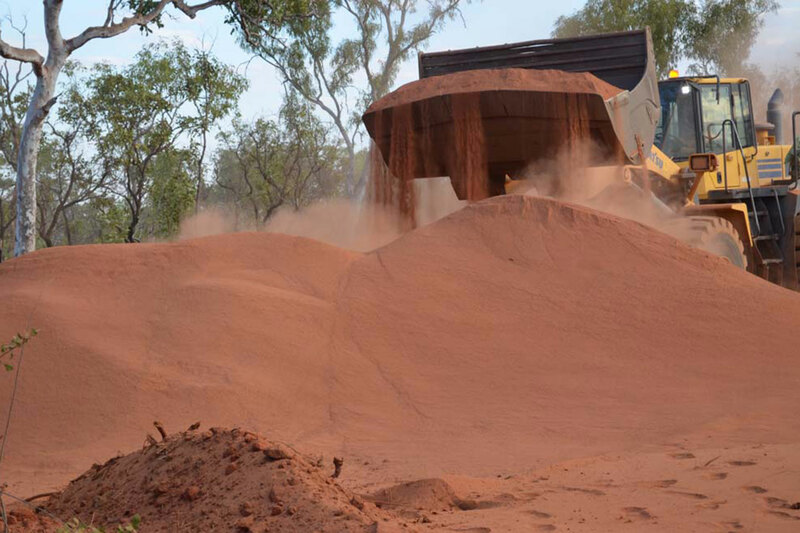 The Sheffield Resources Thunderbird Project is large-scale, long-life mineral sands mining and processing project located on the Dampier Peninsula located halfway between Broome and Derby, North west of the Great Northern Highway. Based on assessments, the site is considered to contain one of the world’s best Mineral Sands deposits, with current projections indicating a mine life of more than 40 years. Sheffield has secured project funding and binding agreements for a significant proportion of the Zircon and Ilmenite production. Plans include up to 100 jobs during construction through to processing production and the development of export capability through the Derby Port using ‘ship-loader’ infrastructure previously used for lead and zinc exports. First production is planned for the second half of 2019. Heavy Rare Earth Elements such as Dysprosium, Lutetium and Terbium are important elements in the manufacture of modern electronics, medical imaging, permanent magnet motors of wind turbines and hybrid vehicles in renewable energy technology. The Northern Minerals Limited flagship project ‘Brown’s Range’ is located near Ringer Soak (Kundat Djaru) Aboriginal Community about 170km south east of Halls Creek, and is a globally significant high grade deposit of Dysprosium. Northern Minerals operates the pilot stage of Australia’s first heavy rare earth mine, which is expected to scale up from pilot to full operations by 2020-21. Through the development of Browns Range, Northern Minerals aims to be the next significant dysprosium producer outside of China. Major resource companies have invested heavily in Western Australia to increase production of liquefied natural gas (LNG) for Asian markets with combined Ichthys and Prelude capital expenditure in WA of in excess of $30B. In the last decade, investment in LNG export capacity is at record highs, but remains susceptible to global changes in demand linked to oil and shale gas prices. LNG and support infrastructure for offshore rigs in the Browse Basin are prominent contributors to the Kimberley economy with Broome providing the key helicopter base for servicing platforms drawing gas up to 450 Km offshore. However, the offshore extraction and processing of natural gas and the allied industrialisation of the Kimberley led to widespread protest and divided Broome. Consequently, gas processing trains are now located in the Northern Territory or floating LNG vessels. There is significant global interest in developing predominately onshore Canning Basin gas reserves and these projects could make significant positive impact on the Kimberley economy with resident service and operational workforces. 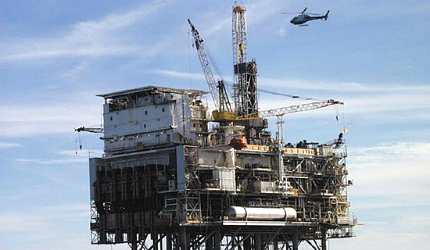 Most onshore oil and gas in the Canning Basin is shale gas and considered ‘tight’. Deposits in such geology require hydraulic fracturing or fracking to enable commercial extraction. Fracking is controversial in the Kimberley (as in southern regions) and campaigns by environmental groups have impacted the social licence for production and exploration ventures. Buru Energy is operating the Ungani conventional oilfield in the Canning Basin recommenced shipping crude oil out of the Wyndham Port in June 2017. Buru Canning portfolio includes the Blina oil field east of Broome which went into care and maintenance after suspension of operations in February 2013. 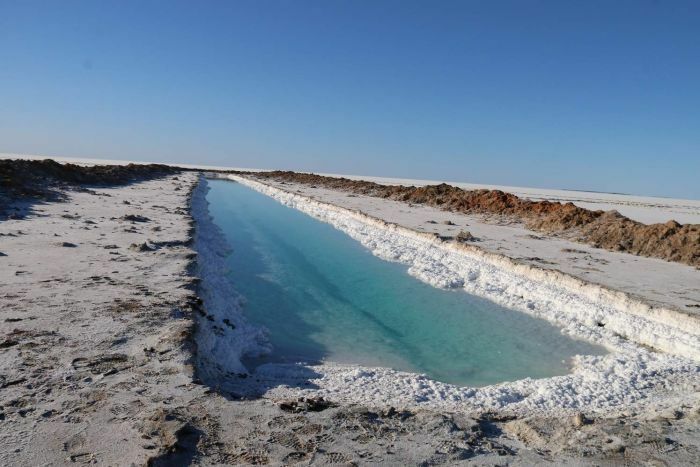 Several projects to produce potash from beneath WA salt lakes are being advanced, as investors hope to gain from growing demand for high quality food, especially driven by Asian consumers. On the West Australian-Northern Territory border, Lake Mackay is Australia’s fourth largest and contains one of the largest deposits of sulphate of potash in the world. It is expected that it will be Australia’s first mine. The key ingredient of potash is potassium, one of the three main nutrients used in every crop, apart from nitrogen and phosphate. Currently, Agrimin is the company embarking on this project in the North of WA.